Technology has come a long way and that is just as true for music creation as with anything else. For a full range of the best options for digital pianos, there is a dealer with plenty of expertise and years of experience to make the selection of the best equipment a relatively simple process. When it comes to finding the perfect digital piano, it is first necessary to realize that there are quite a few different styles and models available on the market today. 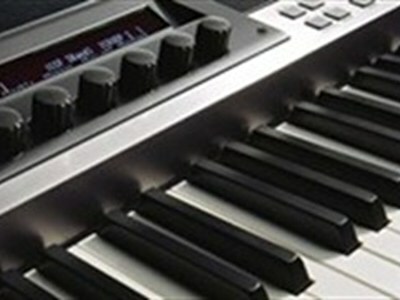 More than just a keyboard, a digital piano has the full range of 88 keys, six octaves and a rich, full sound. That and the fact that a digital piano has built in speakers means that the digital piano is bigger and bulkier than a keyboard. View this page for more information. For performers, there are digital pianos that are compact enough for transport and setting up with other instruments. The actual size feel of the digital piano keyboard is much more similar to a traditional piano than those of an electronic keyboard but there is much less opportunity to create new or different sounds like there is with a keyboard. Since the digital piano is popular with musicians, it has been equipped to connect with a PC for recording purposes. Greater complexity is also available with the inclusion of a synthesizer for a wide range of music creation options perfect for churches, schools and performers. The digital piano market has become quite competitive and is filled with the best names in the industry. New technology is coupled with traditional quality and dependability for high quality music production. Many of the components of traditional and even grand pianos are reproduced in a variety of digital pianos for an authentic sound and feel. The keys are made to respond to touch just like the key on traditional pianos unlike the easy to tap keys of digital keyboards. The types of digital pianos available today are perfect for the beginner as well as the professional. With a full range of accompaniment features for true music production or just a basic keyboard, digital pianos offer the capability of recording and playing back music and even provide progressive lessons to guide in learning and perfecting skills. Storage and portability make each model convenient to use in a number of different locations or to keep out of the way in a limited space. Some models look just like a standard piano but others can have a pedal unit added if desired. Benches are optional and different finishes and colours are available. The best part about purchasing a high quality digital piano at the shop of experts is the understanding that help is always available with a warranty. When you are in the market for a digital piano for your professional or pleasure use, it pays to check out the options offered by an industry leader with a great reputation. Prestige Pianos & Organs is Melbourne's Oldest Yamaha Piano Dealer and stocks a diverse range of leading brand instruments to suit all individual needs and preferences.